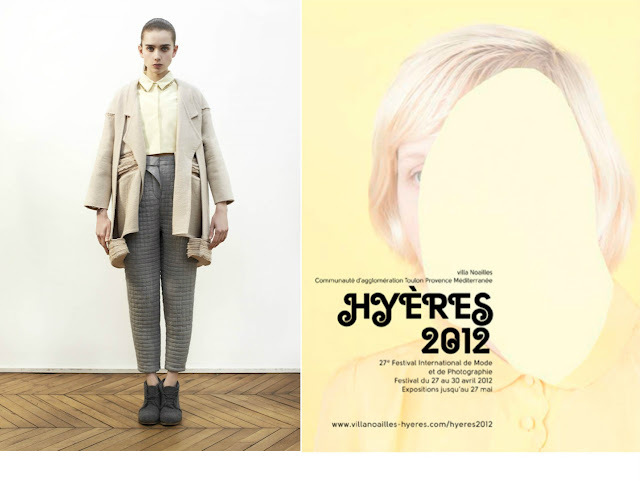 Vauxhall Fashion Scout are ecstatic that Graduate Showcase designer Steven Tai was crowned the winner of the Chloe award at Hyeres Festival 2012. Last season, Vauxhall Fashion Scout presented our very first own Graduate Showcase with 11 graduates selected from across the UK to present their work at the Freemason's Hall in Covent Garden. Steven Tai from Royal College of Art, London was one of those eleven graduates, and since has gone on to work for prestigious designer Stella McCartney. Steven's collection was "based on the idea of the nerd and combining that with the love of books". The collection embodies classic ruffles and the quintessential 'nerd' aesthetic of high waisted trousers, tailored shirts and round-rimmed spectacles. Steven was one of the hand-picked 10 finalists at the Hyeres Festival in France and this weekend he was announced as the winner of the prestigious Chloe prize. The prize fund is worth €15,00 (approx £12,197) and will provide Steven with mass exposure within the industry. The prestigious couture house of Chloe became part of the award panel for the first time this year and will continue for another three, Steven being the first ever recipient of the award. View the exclusive Vogue Paris' interview with Steven, Kim and rest of the finalist designers here. Catwalk images from Dash Magazine.